There are two versions of Iron Man 3: One is the international version, and the other is the Chinese version, with added scenes. This version was made especially for the People's Republic. But that certainly doesn't mean everybody there likes it. This article might contain spoilers. Keep in mind that I'm not saying that China hates Iron Man 3, as the reaction to the film itself seems just fine. Instead, I'm pointing out that many in China do not like the China-specific content added to the flick. Beijing-based Kotaku writer Eric Jou saw the film when it opened in China. The film has about four minutes of added content for the country. Before we get to the hatorade, let's review what was added for Chinese audiences and what was apparently not shot by director Shane Black. About a third of the way into the movie, Tony Stark says he will defeat the Mandarin. A doctor in China named Dr. Wu (played by Chinese movie star Wang Xueqi) sees Stark challenge the Mandarin on television. In Dr. Wu's office, you can see Tony's Iron Man on a TV screen, surrounded by Chinese children and what looks like...Dr. Wu. The good doctor then calls Tony, but J.A.R.V.I.S., the A.I. butler, answers. It's worth noting that in even in the subtitled version, there are no subtitles in this sequence; J.A.R.V.I.S. speaks in Mandarin Chinese. While speaking with J.A.R.V.I.S., Dr. Wu actually says in Chinese, "Tony doesn't have to do this alone—China can help." There's also this extra long shot of Dr. Wu awkwardly pouring a glass of Yili brand Chinese milk. But it's pure product placement. Before the movie starts, there are two China specific ads: One of them is a Chinese milk commercial that, as The Hollywood Reporter points out, asks, "What does Iron Man rely on to revitalize his energy?" (The answer is a Yili milk drink.) The second commercial is for a Chinese manufacturer of tractors and cranes. Chinese bloggers like Buddha Kicking Rabbit are already calling the pre-movie ads the most unintentionally funny parts of the film and even recommend going early so you don't miss them. After that, there's fighting and a bunch of Iron Man kind of stuff. And then! Tony Stark decides he doesn't want to be Iron Man anymore and to have the shrapnel in his chest removed, which, I think, would actually kill him, no? But whatever, the important thing is that he decides to go to China for an operation. "No one comes to China for medical care," Jou points out. "That's just stupid." The set-up is that Dr. Wu is the only doctor able to remove the shrapnel. Then, actress Fan Bingbing, who is not in the international version, walks down a hospital hallway for about fifteen seconds and says, "He's [Tony, that is] here." Apparently, she doesn't even have a name in the movie! Dr. Wu and Fan Bingbing scrub up for the surgery, and Fan Bingbing says something like, "What if we accidentally kill him? Everyone will know it was our fault." And Dr. Wu replies that they won't fail. Then, after the successful surgery, there's a scene in which Tony Stark is hugging Rhodey (Don Cheadle) and Pepper (Gwyneth Paltrow). Fan Bingbing is nowhere to be seen, but there's this strange twenty-second (or so!) flashback to when Dr. Wu is talking on the phone. It's not really a flashback, Jou explains, because it didn't happen to Tony per se. Dr. Wu was talking to J.A.R.V.I.S. It's just odd and out of place—like most of the China specific content. 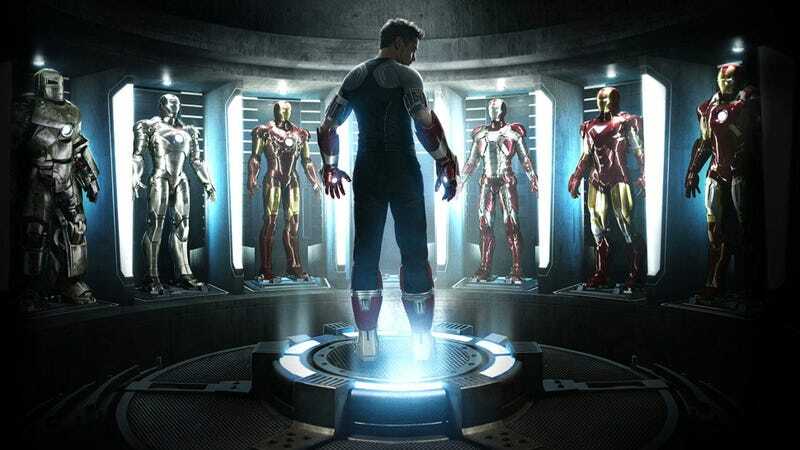 People's Daily, which is owned by the Chinese Communist Party, ran an article titled: "Iron Man 3 Draws the Audience Ire: This Type of Special Chinese Version Is Pointless" (钢铁侠3引观众吐槽：这种中国特供版不要也罢). The article, which was originally published by Yangtze River Post, reads: "All the problems of the movie can be forgiven. That is, all except the parts with Fan Bingbing and Wang Xueqi. This China centric portion is just terrible. It's a pointless commercial with lots of plot holes." Likewise, People's Daily's own review is also quite critical of the added Chinese content. A Chinese friend of Jou's describes the added content like this: "When the Chinese show up in the movie, it's like suddenly changing the channel. It doesn't match the rest of the movie." But the criticism doesn't stop there. On news site CNHubei, the reviewer writes, "This is the first time that I feel an edited version is better than the complete version." Here, "complete version" refers to the full Chinese version. This is particularly a damning criticism, because films are often edited in China and theatergoers cannot see the full versions in cinemas. On television, too, people don't seem happy with the Chinese version. For example, on Shuo Tian Xia, a talk show on Liaoning TV, one anchor said, "It's a shame. Some audience members have said that the addition of the Chinese scenes are pointless and don't add to the movie." Her co-anchor replied, "It'd be better if they added more to the movie. A good way to get Chinese on board is just make a good movie." From the sound of it, the Chinese version of Iron Man 3 brings four minutes of film nobody really wants or needs, save the film's producers so they could presumably secure whatever funding was necessary. Shame that they weren't smarter about the deal. "It literally offends me as an American in China and as an ethnically Chinese person that Hollywood would attempt to sell this to the Chinese audience," says Jou. "It undermines Chinese people's intelligence and movie savvy." But it makes money, no?